There are quite a few moving parts making up their brand of spaced-out psych rock. Aside from feeling like you’re being swept into a gaping black hole for 22 minutes, this crew has a psychedelic recipe in mind and the end result is quite an expansive sound. One of the first references that came to mind was the band Voyageurs (from Arkansas) from way, way back in 2010 and 2011. While that’s a solid point of reference, Melting Palms are doing their own thing. Melting Palms take a mind-bending approach to their craft, employing deep, throbbing bass and glowing guitars to make up the sound. When the massive “Wave/Escape” spills over into its gaping finale, it’s going to be tough to let the next track play without pondering the idea of hitting the repeat button. It’s an explosive way to wrap things up and it’s done so in an effortless fashion. “Sober” comes speckled with high pitched guitars shining like a bright laser beam in a dark grey sky, paired with droning vocals and the unsettling rumble of percussion. Fiery EP closer “Subject of Devil” closes out with some undoubtedly demonic guitar work, leaving you no other choice but to click that PREORDER link right below. 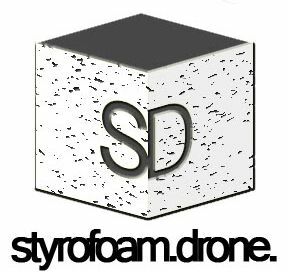 Posted on March 26, 2018 by styrofoamdronePosted in Cassettes, EP, ReviewsTagged Lo-Fi, psychedelic, punk, space rock.